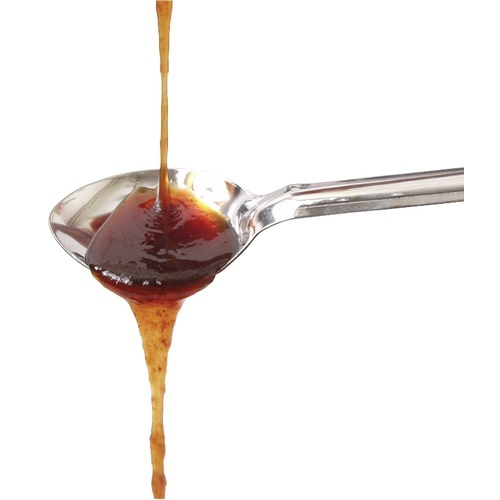 Tart Cherry Candi Syrup - 1 lb. $11.99 & FREE Shipping on orders over $59. Make a delicious, super unique beer with our Belgian-Style Candi Syrup cooked with Montmorency Tart Cherries. MoreBeer! worked with Cascade Beer Candi to develop our own special recipe. Dried Montmorency cherries are minced and cooked, along with Mahlab Cherry pits for authentic home cooked cherry pie flavor, in small copper kettles during the making of Belgian Style Candi Syrup. The pits are strained out after the cooking but the minced cherries are left in for maximum flavor. The result is a one-of-a-kind product for adding natural Cherry flavor and the smooth, slight caramelization of the Candi Syrup to your unique home made beers. This particular recipe is only available at MoreBeer! Works great with many styles of beer, including (but certainly not limited to): Wheats, Belgians and Lambics. adds a very subtle cherry flavour in the background, which compliments the beer instead of dominating it. Many cherry beers just come off being too sweet and artificial tasting. Not with this candi syrup. Highly recommended. Added to a big Belgian about halfway through fermentation. Added this to my golden strong. It ramped up the flavor and rounded out the sweetness. I did notice that the cherry flavor was absent early in the fermentation, but toward the end, it became more pronounced (about 3 months). I think for sure it could use a bit more cherry flavor, but I love tart cherries. I added it in the last 15 minutes of the boil like it said. However, I added it in a hop bag because I didn't want the fruit to stay in there and ferment and possibly spoil the flavor. But I think that was a mistake, because I couldn't taste any of the flavor at all... and cherries probably taste better fermented than oranges (duh). I'll try this again and add it straight (not in a bag) earlier in the boil. We'll see how that goes and I"ll post back on here. Given the Morebeer product description I was expecting a lot more from this product. This product did not live up to expectations what so ever. I used in a product in a wheat recipe as instructed. It added slight reddish hue to the beer but virtually no cherry flavor. What I got was a residual table sugar fizzy type aftertaste. I would not recommend this product.